That also meant that we were exhausted by Sunday and we took some time to just rewind and de-stress. 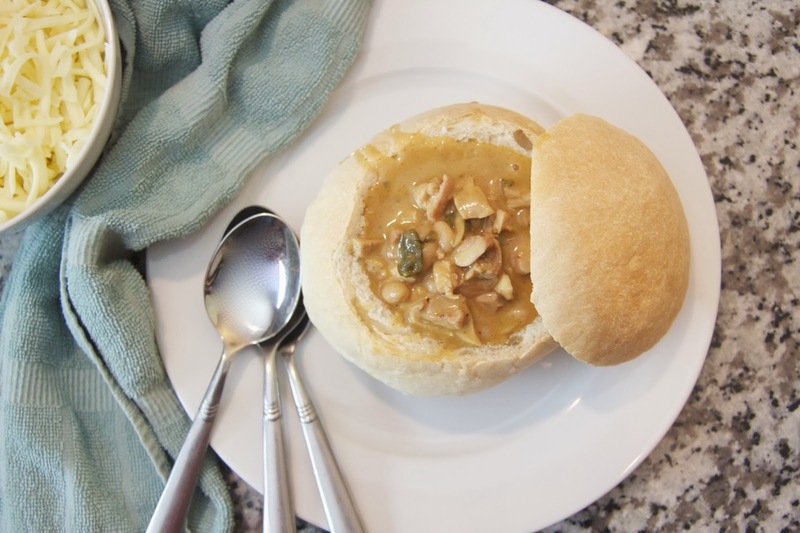 It was a perfect day for soup and there's nothing better for soup than a bread bowl. Growing up in Seattle we used to love to go down to the pier and get a huge bowl of clam chowder in a bread bowl. 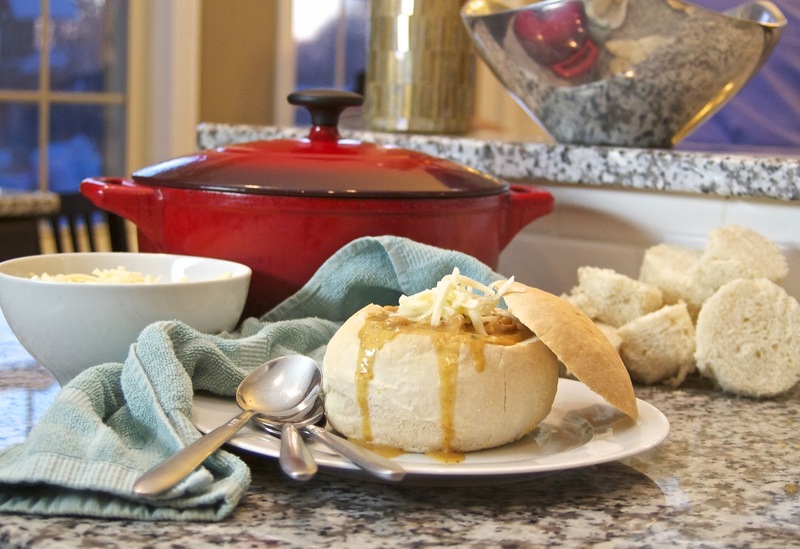 I love how the bread soaks up the soup and if the bowl is right, it stays nice and crisp on the outside until you break through and finish off the bowl by dipping it in the remaining soup. 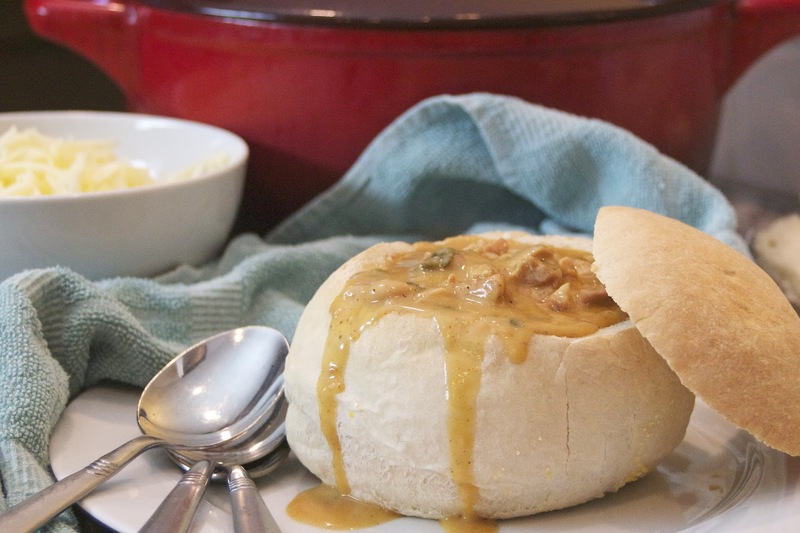 These bread bowls from Red Star Yeast are the perfect vehicle for any soup. Or you can even use them for dips for a party! By spraying then with water right before they go in the oven and then once more after a few minutes, it creates a crispy crust on the exterior with a perfectly chewy interior. 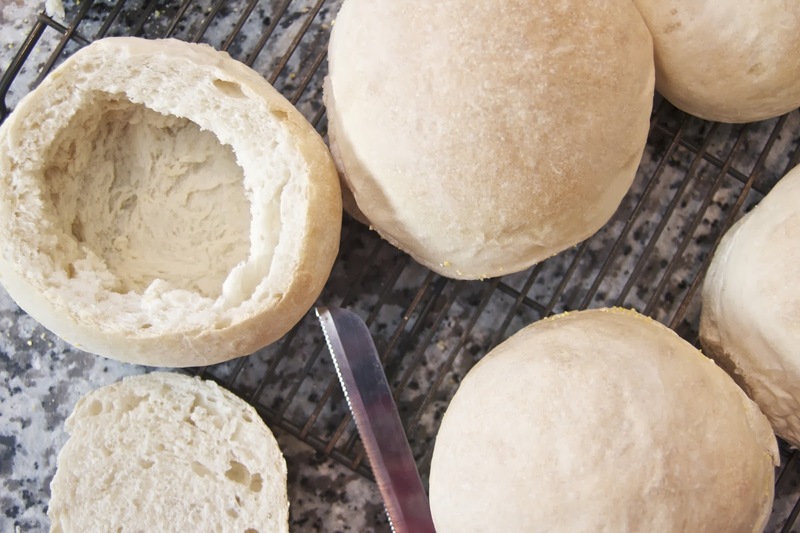 Once you bake them, you'll cut off the tops and pull out most of the interior. If you're going to fill it with soup, place them back in the oven at 300 degrees for 10 minutes and that will crisp up the interior and help it hold the soup without getting soggy. Have fun with whatever you decide to fill it with! I'll be posting the recipe for the amazing white chicken chili it;s pictured with soon. Enjoy! For full recipe, please visit Red Star Yeast! Oh, nice. Thanks for link to Red Star Yeast because they are awesome. They have one of the most important things in the recipe. I’m talking about Nutrition information! I’m always so disappointed when recipes doesn’t have it! Because you need to count it alone and it is quite exhaustive. If only more blogs were like yours and http://sandy55brooks.cabanova.com/.